It’s NAB time again and that means plenty of companies are offering discounts and promo codes during the next few days. In this efficient but unfettered post you can grab a link and a code to all the discounts I’ve heard of so far. Check back as I’ll update this post as often as I can in the next few days and if you see a promo that I’ve not included or you’re running one either drop me a line or hit the comments. I’ve also include some quick info on specific announcements that have caught my eye so far, this is in no way intended to be an exhaustive list, just a ‘oh that sounds interesting’ two lines. If you’re reading this after NAB and you’re looking for year round discount codes and freebies, check out this regularly updated post for more. Color Grading Central, makers of the popular FCPX colour grading plugin Color Finale Pro and new Resolve LUT Gallery plugin, are running a 20% discount through NAB until 11.59 on Thursday April 27th. 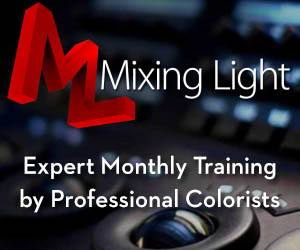 Jump to this post to learn more, or straight to colorgradingcentral.com and use the promo code NAB2017 at the check out. Ripple Training are running a 40% discount code, valid until May the 3rd 2017. Use the code ‘fun-at-nab’ to get 40% off one tutorial training course of your choice. 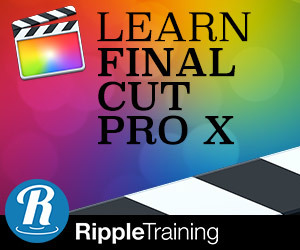 Check out RippleTraining.com for more info on their excellent training courses on DaVinci Resolve, FCPX, Motion, Logic Pro X and more. Filmconvert, makers of the excellent film look software plugin are having a 25% off sale through till Sunday 30th April. Normally you could a 10% discount with the promo code ‘Elwyn’, but throughout the sale, you’ll actually get 25% instead! But if you’ve missed the sale, that link will still work for 10% off. Check out my full review of the plugin and my tutorial on how to get great looking results, quickly in this detailed post. Rampant Design are having a massive 50% sale during NAB. Just use the code NAB2017 at the check out. For more info making use of Rampant Design Tools products check out this post on Free Lens Flares or After Effects for Editors Part 2. Divergent Media, makers of products like Edit Ready, Clip Wrap and Scopebox are offering 25% off their software with the code NAB2017DM. I’ve previously reviewed Edit Ready in this post on Essential Editing Apps. They make really great apps, so use the promo code while you can! MisterHorse Animation Composer 25% off! MisterHorse makers of the very handy After Effects animation preset machine ‘Animation Composer‘ are running a 25% off sale for the post NAB, pre BlendFest season. Use the code POSTPRE2017 to get 25% off everything in their store until May 5th! I’ve previously talked about MisterHorse’s Animation Composer in the first part of my After Effects for Editors series, here. Tim Dashwood, maker of numerous post production plugins and specifically 360 video/VR plugins has been hired by Apple, and has subsequently made all of his previous plugins free! Download them from for free from FX Factory for use with FCPX and Adobe Premiere Pro or After Effects. Check out this detailed primer on 360/VR video for more info on the plugins. Cinedeck, makers of the innovative file-insert app Cine X insert, allows you to insert clips into existing files. They’ve just released a free version of the app called cineXtools Basic, which in conjunction with free plugins for Avid Media Composer and Adobe Premiere Pro, will allow you to make basic fixes to your already exported files, without re-exporting the whole thing. Check out cineXtools basic here. 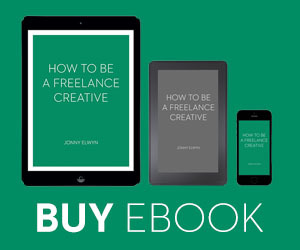 You’ll need to fill in your details to access the free download. Check out this three part tutorial on how to get started with cineXtools. Watch the other parts and more tutorials on the Cinedeck YouTube channel here. High-end colour grading software Baselight is now available in a free ‘student’ edition. It’s been restricted in a few different ways to ensure ‘professional’ work isn’t done on it, but rather that it serves it’s purpose to help junior colorists to learn the software so they can move up onto the full versions in a more seamless manner. Only available on macOS (10.9-10.12). Only available to validated users – it is not freely distributable. You must register with us to obtain a copy. The Blackboard control panel is not supported. Only the Slate. Render out is limited to h.264* and JPEG formats. Cannot access or import full Baselight scenes (and vice versa). The student version uses a different database structure for jobs and scenes, so you cannot share projects between Baselight STUDENT and full Baselight. No BLG export or update AAF workflow. FilmLight encourages individuals who want to learn to grade on Baselight, or to move up to Baselight from another application, to register for a licence in our Baselight Learning Programme. Avid are releasing a free version of Media Composer called Avid Media Composer | First, rolling out in June. Sign up here for access when it comes out. DaVinci Resolve 14 will be announced, released or at least written up in large letters on the side of the building this NAB. I found this excellent close up photo of the new Tsunami grading panels, with individual displays for every control, on the Post-Logic.com site. Click through for more! Project Tsunami is a fully functional, sleek, concept demonstrator built to showcase our latest technologies. Designed in conjunction with Autodesk for use with their applications it’s crafted from solid aluminium plate with EVERY control having its own separate display. Tsunami is fully supported by the Tangent Mapper so users can create their own customised control layouts. We’ll be gathering feedback at the show so please do come and give us your opinion…. Wave2, as you might expect from the name, is the successor to our extremely successful Wave panel. Updated to use high-resolution optical encoders and a new compact form-factor it has identical functionality to the original Wave panel so will be supported by all the same applications. We’ll have a prototype running with various software for you to try…. And finally a picture of the Wave II. They didn't say, other than most likely less than the original Wave. 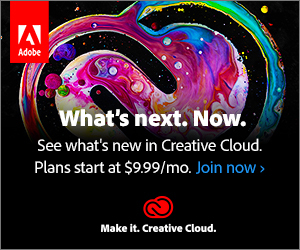 Not only have Adobe announced their latest updates to their suite of creative apps, they’ve also shipped them as well. I’ve curated a post with a lot more detail on the updates here. But the short video above will give you a 3 minute summary. Avid Media Composer | First was announced which is a free version of the ‘industry leading editing application’. You can sign up to get notified of it’s release in June, here. They’ve also created a version of the app to run from the cloud. Avid Also ran a poll to see what the most requested new features might be, with a rough timeline of when they might actually appear in the software.